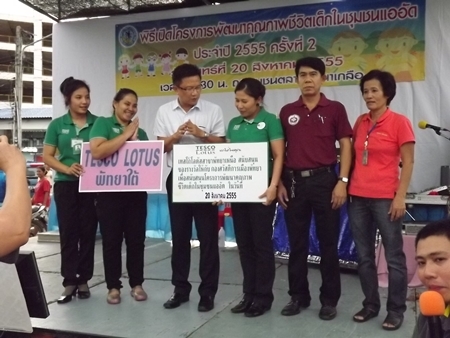 The Pattaya Social Welfare Department and area businesses and organizations joined together to brighten the future of high-risk children in Naklua through art and education. 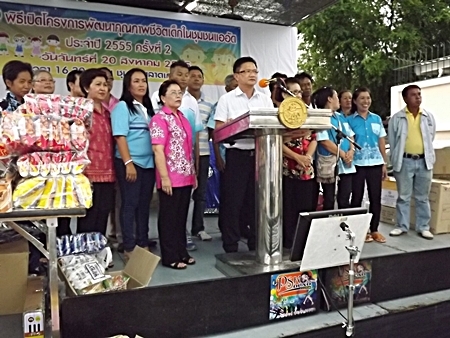 Deputy Mayor Wutisak Rermkitkarn presided over the Aug. 26 event in the Old Naklua Market neighborhood. Sponsors, including Tesco-Lotus department stores, the Y.W.C.A. 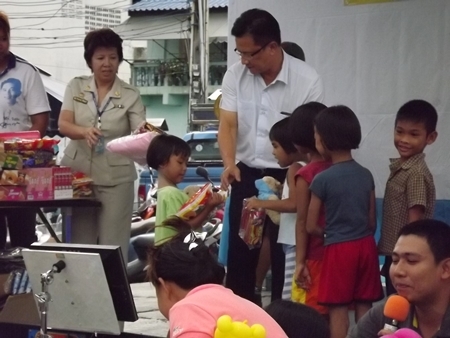 Bangkok-Pattaya Center, Rotary Club and HRH Princess Sirindhorn Vocational Training Center provided gifts given to children of families residing in low-income housing. 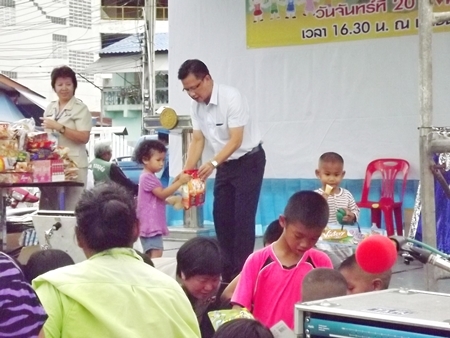 Deputy Mayor Wutisak Rermkitkarn presides over the Aug. 26 event in the Old Naklua Market neighborhood. 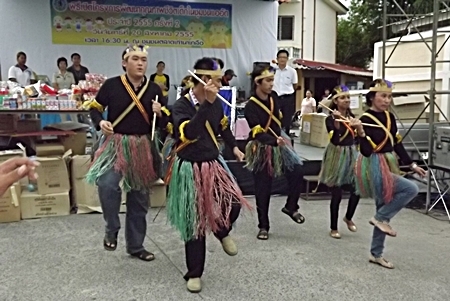 Activities included coloring dolls, clay sculpting, drawing, and finger-painting. Sponsors also talked to kids about drug addiction and AIDS, as well as offer free haircuts and sweets for dessert. The project is one in a series organized by city hall to aid low-income children seen as high risk of becoming involved in drugs and prostitution, or otherwise affected by family problems, crime and unhealthy environments.